Canned foods that are easy to eat and full of muscle-building nutrients. There is a section of the grocery store that nobody wants to be caught lingering in. No, it’s not the dairy aisle, despite the onslaught of sugary calories it can provide. No, it’s not the bulk aisle, where the temptation to sneak a chocolate-covered almond or two is hard to resist. And it’s definitely not the deli counter where the cute girl slicing up prosciutto has caught your eye. The place in the supermarket where you’re likely to tilt your head down and get in and get out fast is the canned-food aisle. That’s because canned food is considered a last resort when it comes to feeding yourself, worthy of little more than sustenance for college kids or your cat. While there is nothing particularly glamorous about chicken stuffed into a can, it’s a great way to load up your sandwiches and salads with protein without needing to turn on the oven. Since canned chicken is, essentially, just chopped-up white meat, it has a stellar protein-to-fat ratio of about 5 to 1, making it a convenient way to help you amass more mass. Inside each can is also a significant amount of selenium. Acting as an antioxidant, selenium may help speed up recovery from your time heaving iron by lessening the muscle cell-damaging effects of exercise-induced oxidative stress. Look for chicken that is canned in water instead of broth or oil for a cleaner product. Whisk together rice vinegar, honey, and fish sauce in a bowl. Add carrot and cucumber. Set aside for 30 minutes. In a separate bowl, stir together chicken, yogurt, cilantro, scallions, ginger, chili sauce, and lime juice. Divide chicken mixture between 2 slices of bread and top with vegetables and remaining bread slices. Few foods can offer such a fantastic nutritional value for your buck as do wrongly maligned sardines. They supply top-notch protein (nearly 23 grams in a typical can) along with laudable amounts of must-have omega-3 fatty acids, which have been shown to help turn on muscle protein synthesis. In fact, a single can of sardines delivers more than twice the amount of daily omegas that scientists recommend for optimal health. Sardines are also a fantastic source of vitamin D that has been revealed to positively impact testosterone levels. Eat the softened bones for good amounts of calcium to help fortify bone strength. 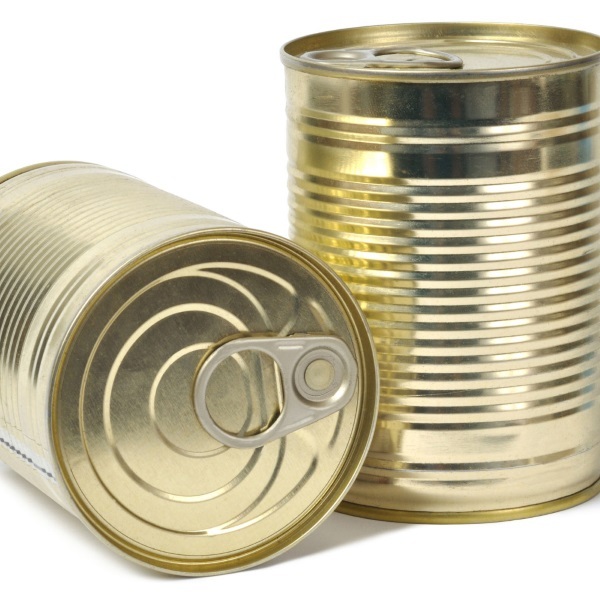 The downfall of canned proteins is that they are often packed in cans lined with the sketchy chemical bisphenol-A (BPA). Many companies are now using cans not lined with BPA, so you don’t need to consume chemical cuisine. Place quinoa and 1 cup water in a small saucepan. Bring to a boil and reduce heat until quinoa is tender, about 12 minutes. Use a julienne peeler or a sharp knife to cut zucchini into noodle-like strands. Heat 1 tbsp oil in a large skillet over medium heat. Add tomatoes and garlic; heat 2 minutes, or until tomatoes have softened. Add zucchini noodles and heat until zucchini is tender, about 2 minutes. Blend together remaining oil, 1 tbsp water, red wine vinegar, anchovies, parsley, chili flakes, and black pepper. Place quinoa in bowls and top with zucchini noodle mixture, sardines, and walnuts. Drizzle on dressing. This supermarket standard remains a bodybuilding staple for good reason. With up to 22 grams of protein in a 3-ounce serving, canned tuna can undeniably keep mass growth going in full force. Frugal shoppers will rejoice that less pricey canned light tuna contains just as much protein as canned white (albacore) tuna. The protein-packed flesh also contains notable amounts of selenium and vitamin B12. Your body requires vitamin B12 to convert the food you eat into the energy you use to show off on the gym floor. Vitamin B12 is also necessary to make DNA, the genetic material at the heart of all cells in the body including those that make up skeletal muscle. Steam or boil sweet potato until tender. Place cooked sweet potato in a large bowl and mash. Stir in tuna, breadcrumbs, egg, scallions, jalapeño, mustard, garlic powder, and cumin powder. Form mixture into 4 patties and cook in an oiled skillet over medium heat for 3 minutes per side, or until golden on both sides. Stir together mayonnaise, sun-dried tomatoes, and lemon juice. Serve burgers topped with mayonnaise. When it comes to canned fish, there are plenty of reasons to cast your line for salmon. It’s a fantastic means to load up on muscle-sculpting protein, with a mere ounce serving delivering nearly 7 grams of this much beloved macronutrient. The protein in this swimmer contains a full arsenal of all the amino acids. Another big bonus is significant levels of mega-healthy omega-3 fats. Recent research suggests that higher intakes of these overachieving fats can reduce muscle soreness. You’ll also reap the rewards of consuming a greater amount of vitamin D. A recent University of Wyoming study found that athletes with higher blood vitamin D levels were less likely to pack on the fat. Canned sockeye salmon harbors about 60% more vitamin D than its canned pink counterpart. Most of the canned salmon on the market comes from healthy Pacific wild stocks, making it a sustainable catch of the day. Toss together orange, red pepper, jalapeño pepper, mint, scallion, and salt. Place yogurt, avocado, and lime juice in a blender container and blend until smooth. Divide salmon among lettuce leaves and top with orange salsa and avocado cream. Muscle men shouldn’t rely solely on animal flesh for their protein fix. That’s because canned beans have something very important that tinned meats lack, namely fiber. For example, on top of supplying about 20 grams of plant-based protein in a one-cup serving, navy beans deliver a whopping 13 grams of dietary fiber. Essentially indigestible by the body, fiber works to slow down digestion, which can benefit your physique in two ways. First, a high-fiber diet helps promote satiety, which can go a long way in reducing those craving-induced visions of doughnuts dancing in your head in response to heavy training. Also, by slowing the release of the carbohydrates contained in a meal into your bloodstream, fiber works to lessen any spikes in blood sugar, which brings about a more moderate release of insulin that can put the breaks on fat storage. On top of protein and fiber, lowbrow canned beans also supply a wide range of vital vitamins and minerals an active body needs. Cook lean turkey bacon in a skillet over medium-low heat until beginning to turn crispy. Transfer bacon to a paper towel-lined cutting board and let cool; reserve fat. Once cool enough to handle, chop bacon into 1/2-inch pieces. Heat 1 tbsp of the reserved bacon fat in a large saucepan over medium heat. Add onion and carrot; cook until softened, about 6 minutes. Add tomato paste, thyme, chili powder, black pepper; heat 30 seconds. Add beans and chicken broth and simmer for 15 minutes. Stir in collards and heat until wilted. Add bacon.